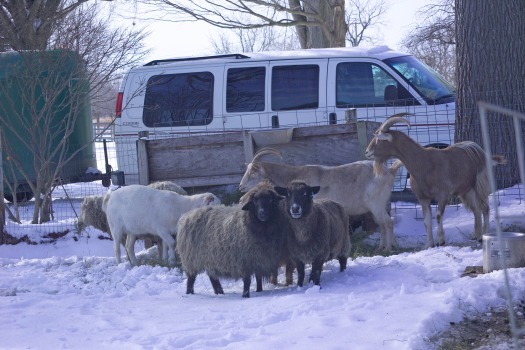 Meet our 4 new goats: Poncho, Peter, Paul and Mary and our 4 new sheep—Cocoa, Honey, Maple and Penelope. These animals came to us from the Detroit Zoo. 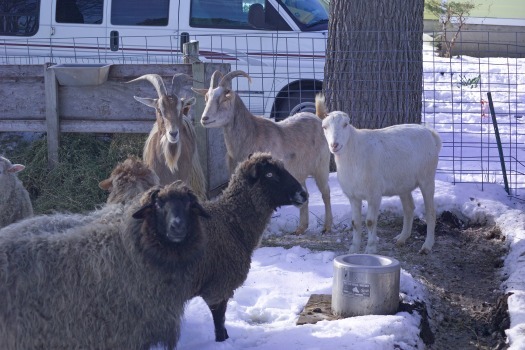 A few of these animals were found to be carriers of malignant catarrhal fever—a disease that does not affect sheep or goats, but is fatal to animals such as cattle and bison. 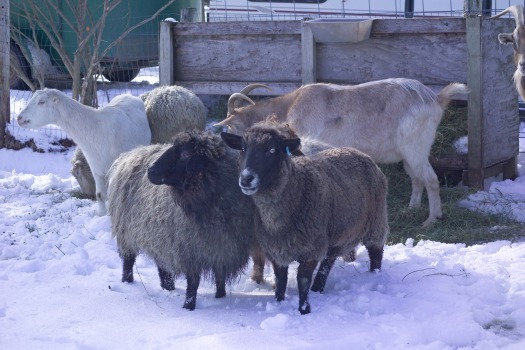 The zoo tried to place them for six months before someone referred them to Coda’s Haven. They now have a permanent retirement home with us.